So today is day 5 of NaNoWriMo 2016! Oh lord, keeping up with all this writing and my day job is rough. 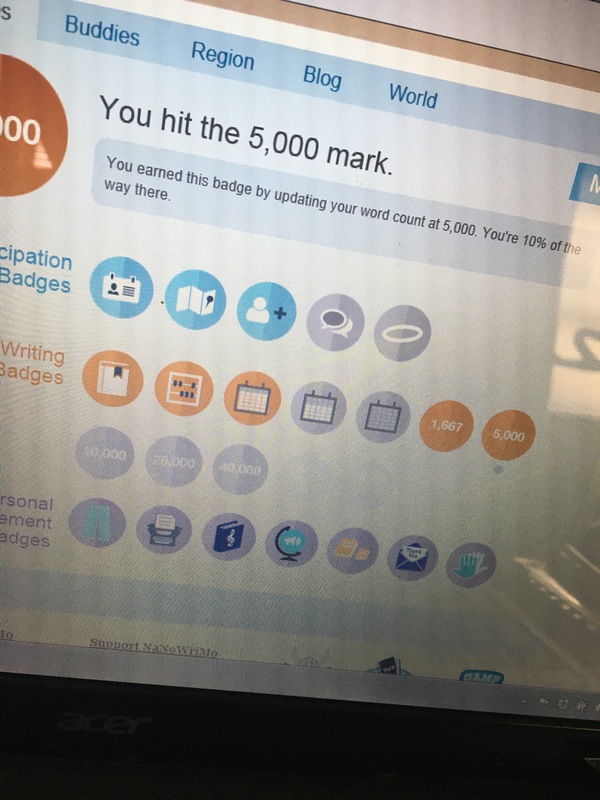 This week has definetly been a challenge for me, currently I’m 2,000 words behind what I should have by the end of the night to hit my day 5 mark. But, seriously. How do people manage this with a full time job and pet or children at home requiring their attention?? I know time isn’t so much the issue here, because you make time for what is important. For me I’m finding it’s more finding the energy and the right mind set to be able to sit down and type after being drained all day at work. I’ve already accepted that my 50,000 words will not be perfect and will need a good, couple edits to be where I want it. But so far I feel all I have a series of incoherent babble.